So I'm really looking forward for the new codex! 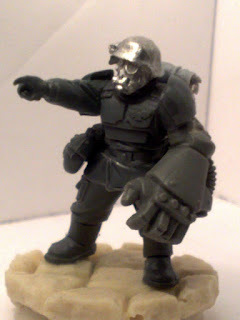 He will be a junior officer, I wanted to make him look like Hellboy so i gave him a huge power fist from the an old space marines sprue. 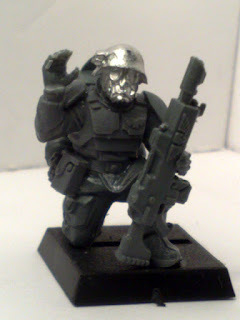 The pointing hand will be probably cut since I'm planning to give him a plasma pistol from the new command sprue. 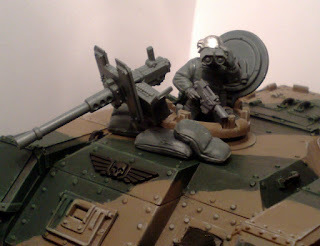 Next there is a minor conversion to a chimera, I never liked the standard turret (doesn't make sense for an APC to have a turret) so I added to the autocannon a shield and some sandbags taken from the heavy weapons sprue.